Magic mushrooms Australia. Magic mushrooms are a popular mind-altering drug among Australians for recreational use. People go mushrooming for a little magic from Spring through Summer. But, it did not start out this way. They were not always something used for fun. Magic mushrooms were a popular substance used by the native people of Mesoamerica. For more than 3000 years these people used magic mushies in healing religious ceremonies. Recreational use is widespread with the stories spreading across the world in the media of magic mushie trips. Magic mushrooms occur in the Australian outdoor environment. 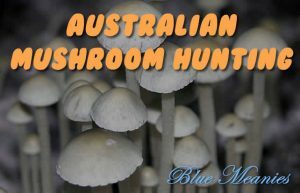 Aussies hunt shroomies for their hallucinogenic properties. When consumed, people hallucinate or, more commonly, ‘trip’ out. The magic effect of these mushies is in the way they change your perception of the world. You will hear and see things that are not there when tripping on magic mushies. The chemicals in the mushies alter the way you think, and distort your thoughts and emotions. How popular magic mushies are in Australia is unclear. According to the National Drug Strategy Household Survey (NDSHS) 2016, there was a decline in the recent use of hallucinogens from 1.3 percent to 1.0 percent. The active chemicals in magic mushrooms are psilocin and psilocybin. Psilocybin transforms into psilocin when it hits the human system. And, this is what produces the hallucinogenic effect. The effects are similar to those of LSD but not as strong. Usually you eat the mushies, either raw or cooked. Fry them or cook them in with a stew. You can cook them in your favourite meal. Brew them into a tea. Even dry and smoke them mixed with tobacco or cannabis. But, keep in mind, how they affect you is not predictable. You may think yeah yeah, it is all good. In reality the effects can range from pure fear to manic elation. If you are going to use them, you need to be careful. Even if you take the same amount every time, the affects will vary a lot. So be aware and be careful.